The 2012 Academy of Country Music Nominees were revealed in an all Facebook press conference this morning, and Kenny Chesney emerged as the leading solo nominee with 9 nominations. Taylor Swift led among solo females with 3 nominations. Lady Antebellum earned the most nomations for a group with 5. Top nominees listed below. 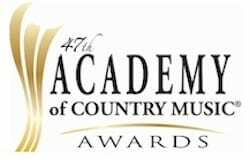 Earning their first-ever ACM nominations are Grace Potter, Aaron Lewis, Thompson Square, and Love and Theft. Show co-host Blake Shelton picked up his first Entertainer of the Year nomination. Previous winners fared well in many of the categories. Brad Paisley has won the Male Vocalist category five times to date, and Miranda Lambert has won the Female Vocalist category three consecutive times. Kenny Chesney has won four Entertainer of the Year awards, and if he picks up a fifth it will tie him with Alabama. Ben Ferrell ‐ Varnell Enterprises, Inc.
Jimmy Jay ‐ Jayson Promotions, Inc.